Residents are being invited to tweet in their questions for a debate on how Bucks will look in 2021. On Thursday county council members will be debating the future challenges and opportunities for the authority over the next five years. 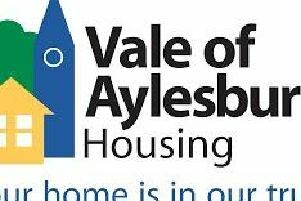 The keynote speaker will be Lou Patten, chief officer at the Aylesbury Vale Clinical Commissioning Group. To help the debate, the council also wants to hear questions and comments from residents about things that matter to them. These can either be submitted via Twitter in advance or during the meeting ‘live’ at www.twitter.com/buckscc and using the hashtag #BucksAGM. Leader of the council, Martin Tett said: “I believe it’s vital for democracy that local people can engage with their county council and what better than to get a question debated at our AGM. We provide most of the public services local people receive and pay for through their council tax, so it’s only right that they can ask questions and give their views - that’s proper engagement. The AGM, which is taking place at The Oculus, Gatehouse Way in Aylesbury, starts at 9.30am with the full debate starting from 10.15am. The public are welcome to attend and any questions can be tweeted in advance or at any time up to 12.50pm on the day while the debate takes place. Residents can also follow the debate via webcast from the Council’s website.